Here are some fun and simple ideas for Fall treats in just minutes. All you need is your favorite treat, melted chocolate and festive sprinkles! 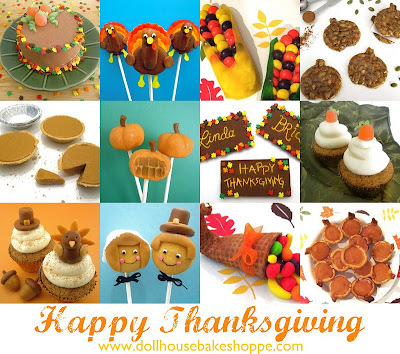 If you want a baked version, keep reading to find the how-to for Autumn Cake Pops. To create a fun and festive dessert spread, simlpy melt a bag of chocolate chips according to the package. Dip you favorite treat into the melted chocolate and immediately roll in a bowl of festive Autumn sprinkles. Lay on wax paper and place in the freezer or refrigerator to dry for a few minutes. Once choccolate has set, remove from fridge and serve at room temperature. Try dipping pre-made treats from the store, such as apple pieces (dipped in lemon juice to prevent browning), rice crispy treats, 2-3 marshmallows on a stick, Oreo cookies, or pretzel rods. 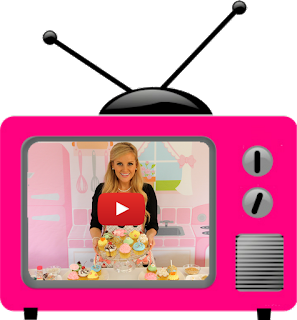 You can also bake up some treats at home to dip, like cocoa rice crispy treats, brownie bites, or cake balls (recipe below). Just bake, roll into a ball, dip & decorate with sprinkles. Note: Make sure to leave treats in the fridge only long enough for chocolate to dry. If you leave them in the fridge for too long, condensation will occur when you take them out, causing the chocolate to "sweat", and become wet when brought back to room temperature. Crumble up baked and cooled cake into fine crumbs and mix it with a tablespoon of frosting at a time, with a fork or electric mixer, until it is almost a play dough consistency. Try adding a teaspoon of homemade Pumpkin Pie Spice to your mixture for a fun Fall flavor. Roll into balls and place on wax paper covered plate or cookie sheet. Melt chocolate chips according to package. Dip end of lollipop stick into chocolate and push half way into the cake ball. Chill in the fridge or freezer until stiff, but not frozen solid. When the cake balls are firm, remove from the fridge/freezer. Holding the stick, dip and twirl the entire cake ball into the melted chocolate, tapping the stick against the side of the bowl, letting any excess candy melts dip back into the bowl. Roll in shallow bowl of sprinkles. Place on wax paper covered baking sheet and refrigerate a few minutes to dry.